Dancing Chinese at Great Chinese Festival RP - Entertainers - Real Photo - Vintage Postcards | VintagePostcards.com: vintage, old, antique postcards for collectors. 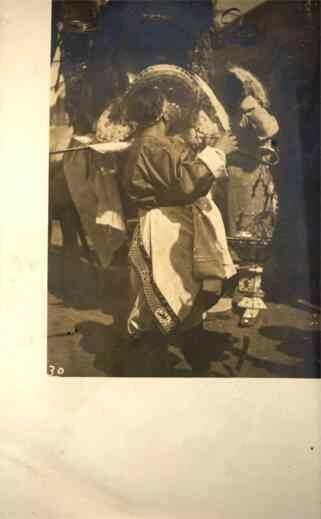 The dancing Chinese at the Great Chinese Festival, Los Angeles, California, 1902. Real photo.